Blackmagic Pocket Cinema Camera (BMPCC) now has an Active Speed Booster for Canon EF lenses. The Canon EF to MFT (micro four thirds) speed booster has been long awaited, but this one is only designed for the BMPCC. Active means it is fully electronic It is available and will ship early July for $659 at the Metabones site http://www.metabones.com/products/?c=bmcc. The Canon optically stabilized lenses are very popular and this will make them more so. 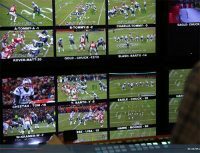 It will also enhance the Blackmagic Pocket Cinema Camera. Some say the company should bundle this adapter with the camera. While the Metabones company is working on a version for the Panasonic GH4, that is not available yet. If you used it on the GH4 you could damage the adapter or the camera. This Speed Booster does not cover the full MFT image circle, but it does covers the smaller S16 of the BMPCC. The new 0.58x EF-BMPCC Active Speed Booster reduces the crop factor of the BMPCC from 2.88x to 1.75x, and gives a maximum aperture of f/0.74. So a 50mm f/1.2 lens now becomes a 29mm f/0.74. The adapter also has a tripod foot which is detachable. 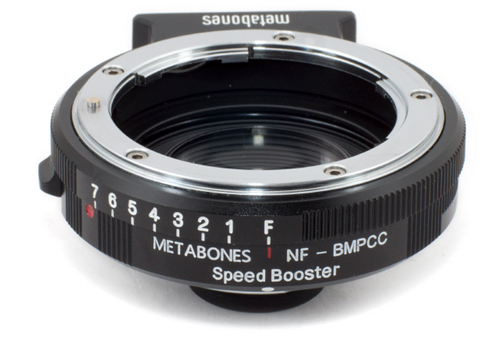 Check out the line of Metabones Speed Boosters.